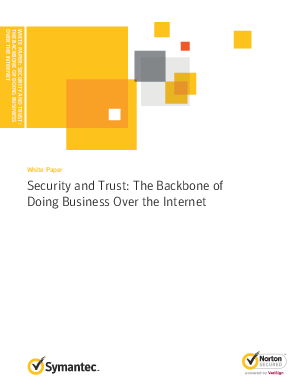 This paper explores the current state of website security and the contributions Symantec is making to help organizations protect critical data and build trust with customers. It begins with Secure Sockets Layer (SSL) encryption, the technologthat addresses the most obvious and oldest problem in online business -the susceptibility of sensitive data in-transit to interception by cyber criminals. This paper overs the need for data encryption offered by SSL, and the need for additional measures like authentication of website legitimacy and trust building with one's customer base.